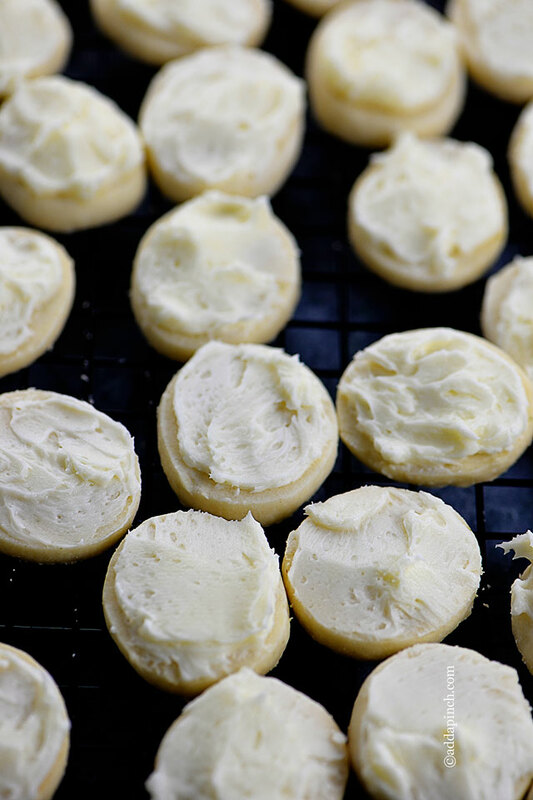 This Key Lime Shortbread Cookies Recipe makes the best shortbread cookies. Now don’t get me wrong, they have just the right amount of sweetness. 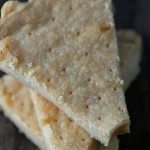 The key lime zest and juice give these shortbread cookies just the perfect amount of citrus flavor. They are just perfect to serve for so many occasions, especially spring showers or weddings or a get together with friends. But let me tell you, you don’t have to wait for special occasion to enjoy these delicious little babies. They are a great way to celebrate any day. 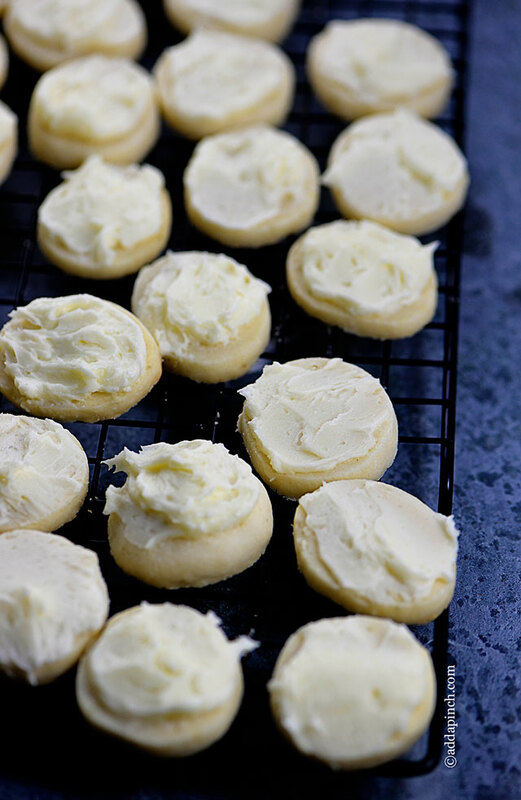 Here’s my Key Lime Shortbread Cookies Recipe. Hope you love them, too. 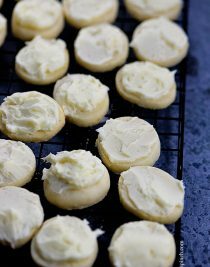 This Key Lime Shortbread Cookies Recipe makes the best shortbread cookies that are not too sweet and have a hint of key lime flavor in the cookies and frosting. Cream butter, cornstarch, and confectioners sugar until well-combined, not fluffy, about 3 minutes on medium speed with an electric mixer. Add flour to the butter mixture just until well-combined. Add key lime zest and juice. Beat until mixed thoroughly and soft dough is formed. Divide dough into halves. Form each half into 1 inch roll. Wrap in waxed paper and refrigerate at least 1 hour or until firm. Slice dough into 1/4 inch slices. Place on cookie sheet lined with parchment paper and bake for 10 minutes or until set. Cookies will not brown. Cream butter and confectioners sugar. Add key lime zest and juice. 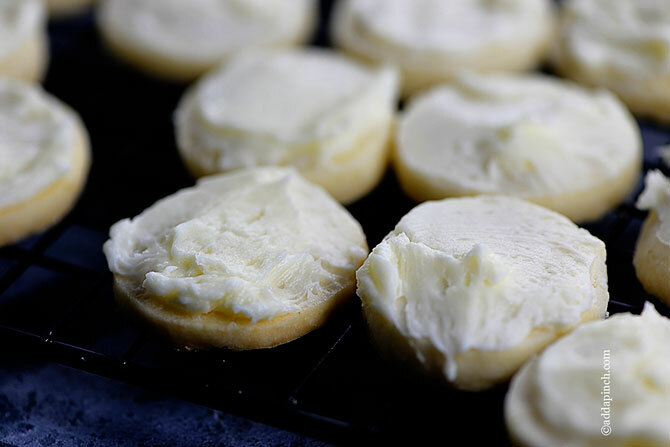 Spread frosting on tops of cookies. What if you can’t find key limes in my part of the world? 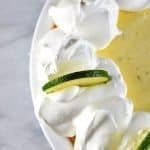 Can you substitute regular limes? Also, have you ever tried these with lemons? 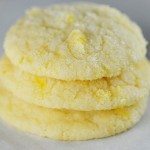 Yes, you can substitute other citrus in place of the key limes to make it any other type of citrus shortbread cookie. I hope you enjoy it! Perhaps step 2a is missing? 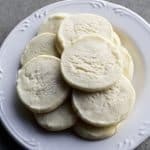 Add flour and mix just until incorporated? SO GOOD!! I used white whole wheat flour, so I can only imagine how even more delectable they are with APF. These are just SO GOOD. I am a bit crazy for citrus & lime is my favorite. I’m already in love. 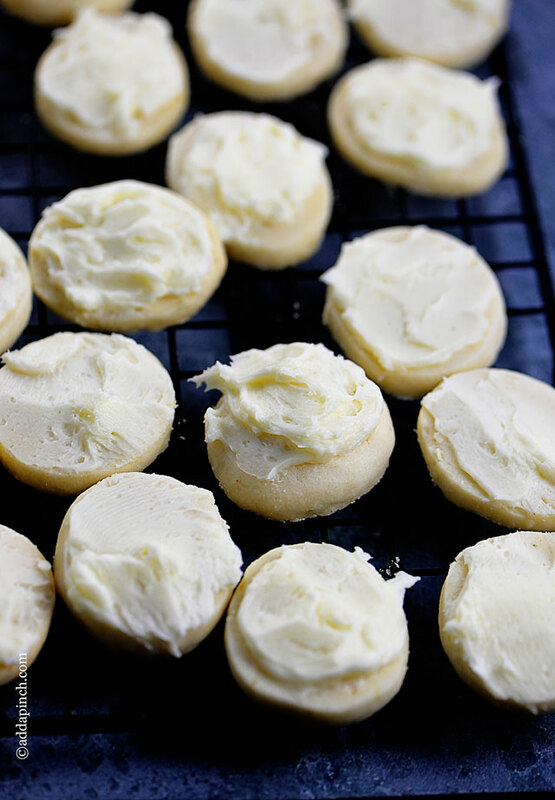 These look like a tart, buttery cloud. I didn’t follow your recipe exactly, but used it as a base. Didn’t have any confectioner’s sugar handy, so I used granulated. I also added an egg for color and flavor, and green sugar crystals rather than frosting… I gotta say, these were AMAZING. SO good. My kids snapped them up as fast as I handed them out. Good idea for a cookie! Fabulous cookies!!! light crispy, no worries about browning them! The taste is amazing! 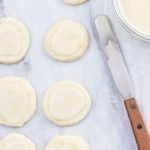 I will be using this as my easy perfect spring/summer cookie! Good morning, Robyn. 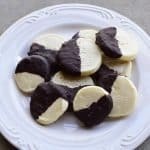 Awesome cookie recipe. Easy to follow exactly as your recipe stated. My family loved them. Would I be able to use the frosting for a 3 layer cake? I am so glad you enjoy the cookies! They are perfect for spring, aren’t they? !